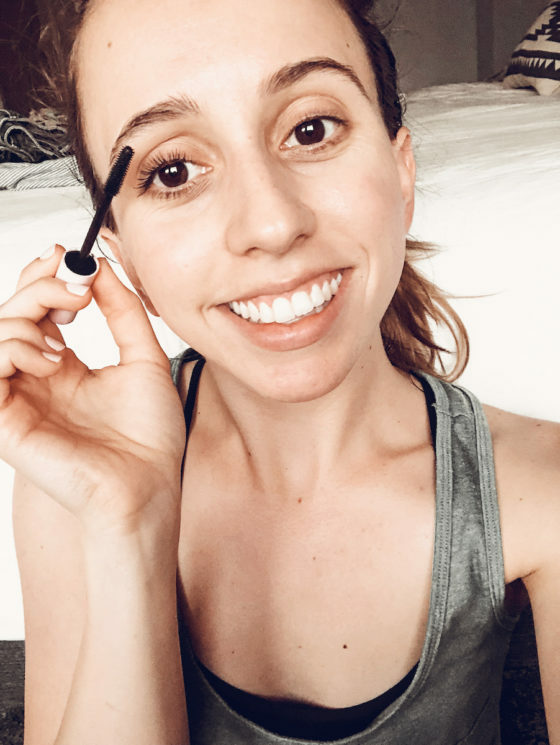 It doesn’t matter whether I’m doing a full face of makeup or going au natural for the day…chances are, I’m putting on mascara no matter what! Just a little bit of mascara can make me feel infinitely better about my day! Anyone else?! 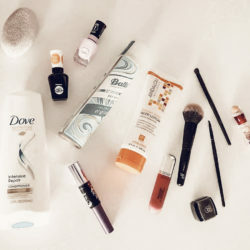 I’ve tried SO many mascaras in my time…from drugstore to high-end brands, I’ve had favorites from time to time, but I’ve never found a mascara that doesn’t have a flaw. 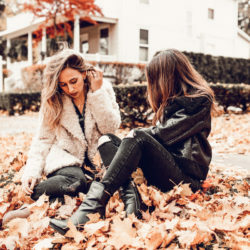 The drugstore brands are flakey and wear off throughout the day, while the high end brands may work better, but they totally break the bank. 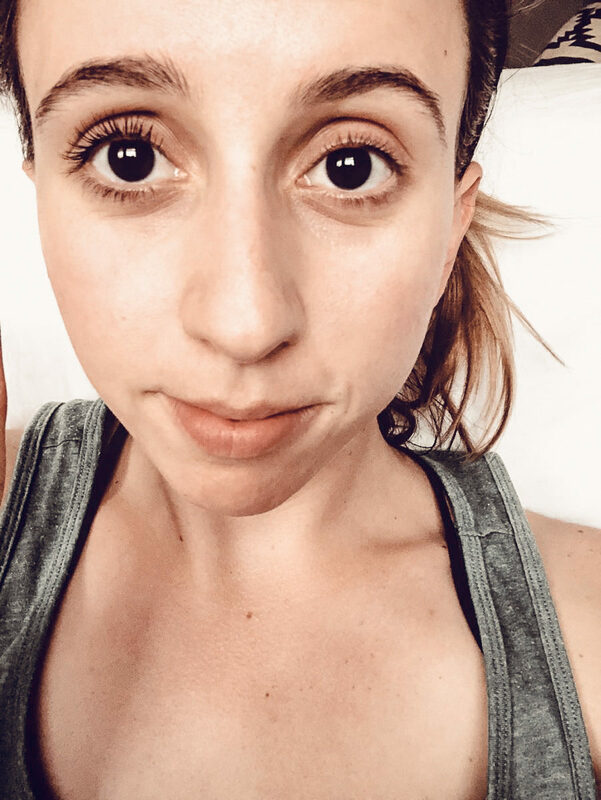 My answer to my mascara woes comes from the company I always turn to when I need something…Glossier. 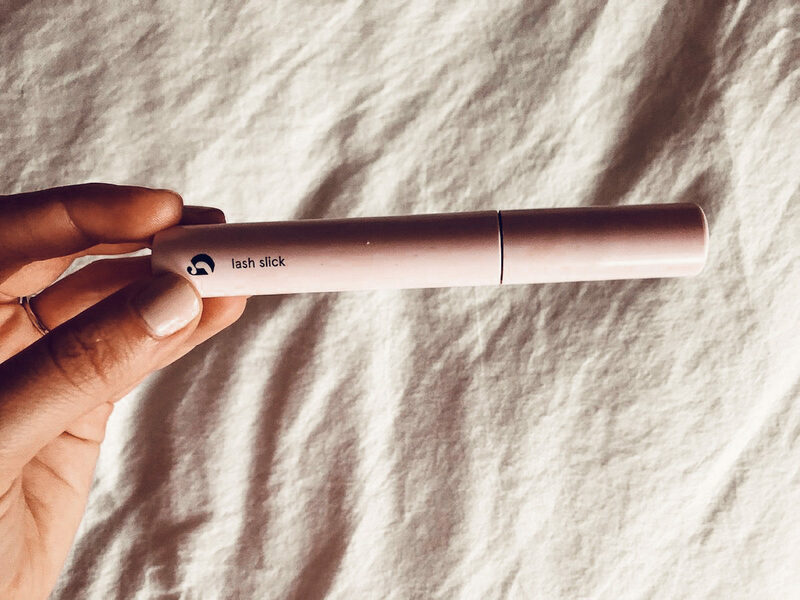 When Glossier released their brand new mascara, Lash Slick, I knew I had to give it a try. 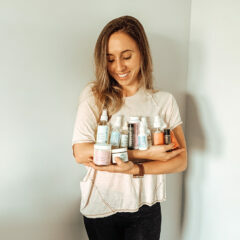 Honestly, all of our past Glossier experiments have been more than successful so I had a lot of faith in this one! The #GlossierObsession is real, friends. 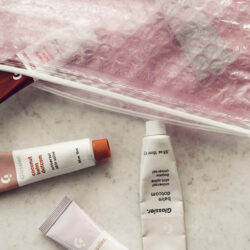 Where to buy: Glossier website or our Shop Page! As soon as I saw that pretty Glossier package sitting on my doorstep, I was so excited to rip into it and take out my new Lash Slick, but I was honestly a little nervous. What if Glossier let me down this time? Can a mascara really be that groundbreaking? I had my doubts! The first thing I look at when I get a new mascara is the brush. It can’t be too thick, too spikey, or too round…it has to be just right. Glossier Lash Slick is just right in my books. Now here’s where things get real good…I put on the mascara and BAM. #MindBlown. You guys, this stuff goes on SO smoothly and never clumps (WIN). It adds serious length to your lashes! I’m talking lash extension length without the extensions (and the price!). I mean the difference is crazy! After seeing my Instagram stories during my initial experimentation, Claudia was totally sold on Glossier Lash Slick too! It’s become a total staple in her routine. The best part? It lasts all freakin’ day. 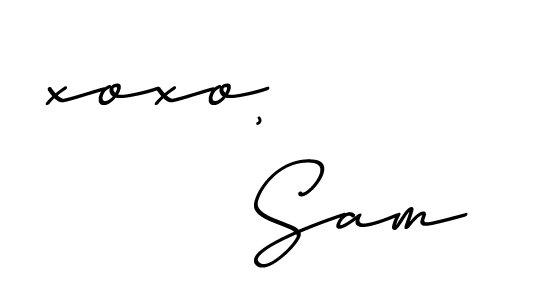 No smudging…not a single flake. Nothing but pure, uninterrupted lash PERFECTION! Yes, Glossier Lash Slick gives you perfection-level lashes. Because I now love my mascara so much, when it comes time to take it off at the end of the day it’s honestly a little sad! (Might be a tad dramatic, but whatevs!) The funny thing about this mascara is it doesn’t really come off when I use my micellar water, but it comes right off with warm water. With warm water and gently rubbing my lashes between my fingers, it comes off like a charm! The only other thing I don’t LOVE about this mascara is how fast I go through it! It honestly seems like within a month, I’m ready for a new tube…and that doesnt’ make it so wallet-friendly after that! Somehow, Glossier has perfected mascara…something that so many companies have attempted to do and so many companies have failed at. And that, my friends, is my Aha Moment. I didn’t think it was possible for a mascara to be perfect, but day after day, this one never disappoints. 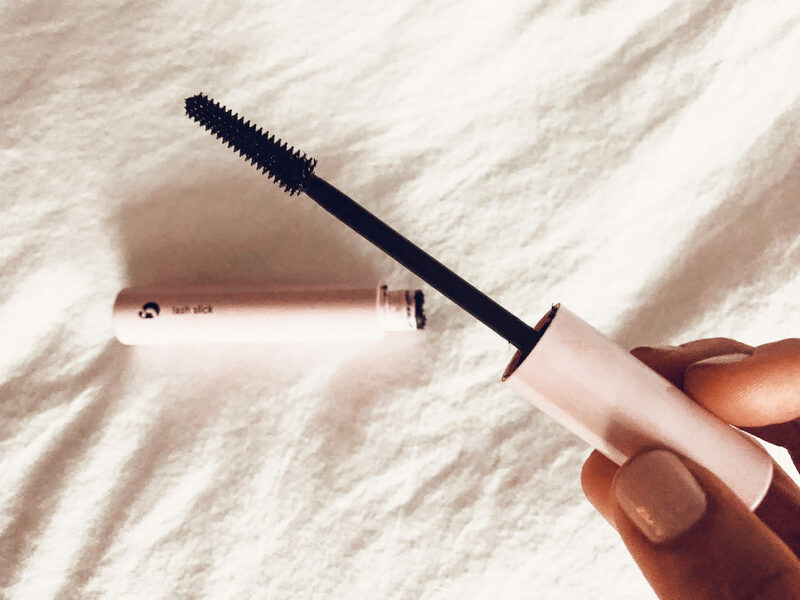 For becoming both Claudia and I’s most swoon-worthy mascara, Glossier Lash Slick so deserves a 8 out of 10 in our books! The only reason we really felt it needed some points removed was because it just doesn’t last long enough! We’ve never gone through a mascara so quickly. I mean “adding to cart” is only fun when it isn’t done too much, am I right? !